New Jersey Gov. Chris Christie is getting a road in his home county named after him. TRENTON, N.J. -- Republican Chris Christie left the New Jersey governor's office with his popularity in tatters, but at least he didn't break a leg. Christie is the first elected New Jersey governor in more than two decades to not suffer a broken leg while in office. JON CORZINE: The Democrat broke his leg during a serious vehicle accident on the Garden State Parkway in 2007. He also suffered broken bones in his chest and back and spent more than a week in critical condition. JIM MCGREEVEY: The Democrat fractured his left femur during a walk on the beach in Cape May in 2002. CHRISTINE TODD WHITMAN: The Republican fractured her right leg while skiing in Switzerland in 1999. Former Obama administration Justice Department official Eric Columbus dug up the nugget on Twitter Tuesday after Christie was replaced by Democratic Gov. Phil Murphy. He noted that the Democrats broke their left legs, while the Republican Whitman broke her right leg. The last elected New Jersey governor to leave office without breaking a leg was Democrat Jim Florio, who left office in 1994. Christie's lieutenant governor was not a lucky. Kim Guadagno broke her elbow and wrist while riding a bike in October 2014. She was serving as acting governor at the time because Christie was out of the state. 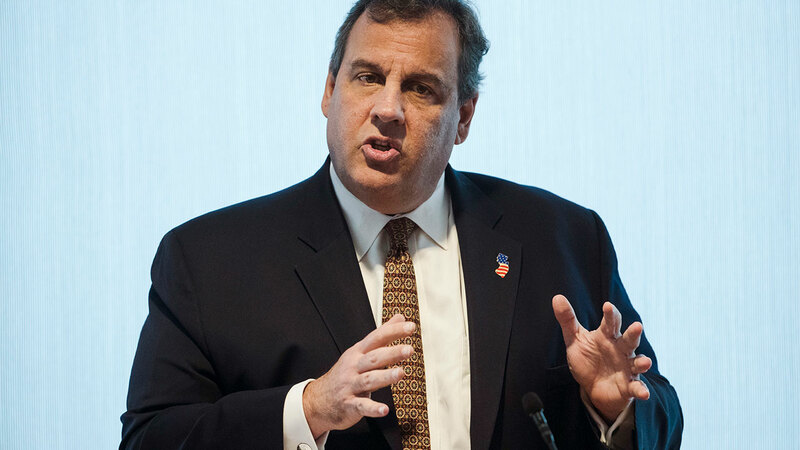 Christie was hospitalized after suffering an asthma attack in 2011.